Normally if you’ve wanted to try out developer previews for the latest version of Android, you’d have to own a Nexus device. 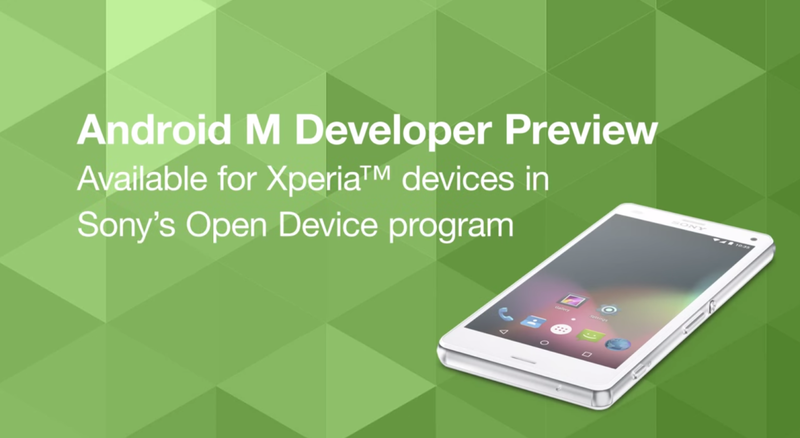 Sony is making some strides to change that, however, by providing instructions for installing the Android M Developer Preview onto its Xperia devices. That said, it’s fairly technical stuff – if you don’t know your way around a Linux terminal, you’ll probably want to shy away. While Nexus owners can simply flash the appropriate ROM, Sony’s instructions involve downloading code from the Android Open Source Project (AOSP), some extra files from Sony, and then compiling the build yourself. Because it’s an AOSP build, you won’t initially have access to any of Google’s proprietary apps. That includes the Play Store, which you’ll have to sideload. Of course, Android users have have been rooting their phones to replace their default ROMs since the platform first launched, and developers are sure to streamline the process on enthusiast forums like XDA. If you’re willing to tough it out, Sony’s list of available devices can be found here. It’s good to see Sony providing this much support to its developers and that Nexus devices aren’t the only ones with official manufacturer support for testing the latest Android features. Read next: How good is your logo?